As we all know, Virtual Reality is quickly becoming the future, as this is where the larger game companies have been moving over their man power. There was a Valve employee that estimated that roughly a third of Valve is working on VR and VR-related projects. I feel that this technology is quickly becoming one of the most popular game consoles. Or at least it will be eventually. 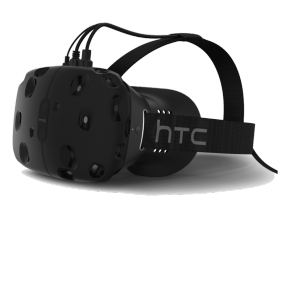 With the hefty price tag of $800, the HTC Vive is no dollar store item. But this hasn’t stopped people from getting their hands on the technology anyways. As of just recently, the University of Advancing Technology has acquired one and made it available to the students to use. Only one evening was enough for me to gather these thoughts and come up with an idea of how this is going to go. Now obviously I’m not a Valve employee, nor can I see the future, so take everything I say with a bit of skepticism, just in case. 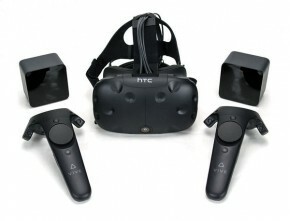 Everybody has heard of VR by now, as the HTC Vive and the Oculus Rift have taken the market by storm. Before this point most people only had an idea of VR from movies such as James Cameron's Avatar, which technically wasn't really VR anyway. The essence was there however, using technology to put yourself in another place, world, dimension, etc. This post would mostly be dedicated to the Vive, as I feel that it has more to talk about.